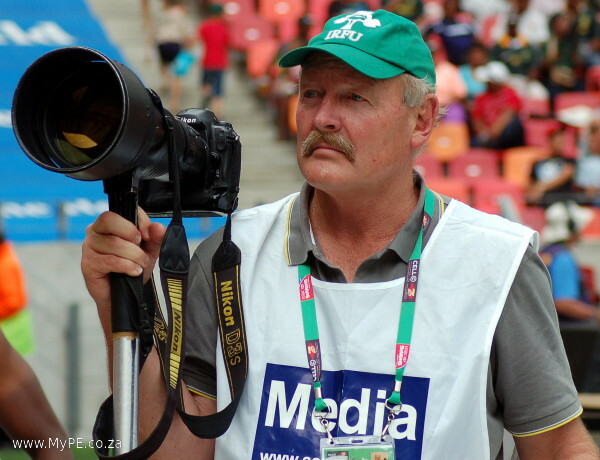 The Springbok Sevens side started Round 3 of the HSBC Sevens Round 3 in 3rd place on the log after a disappointing loss in Dubai against Fiji. 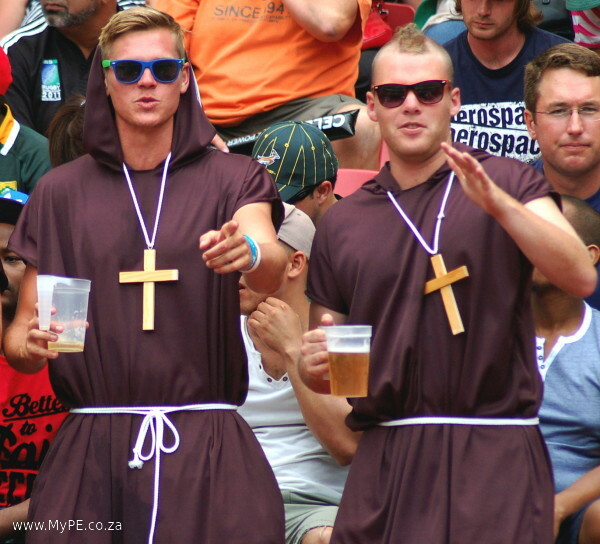 Drawn in a relatively easy pool the Springboks eventually met New Zealand in the final at 7:30 pm on 8 December 2013 in Port Elizabeth‘s Nelson Mandela Bay Stadium. The outcome of the weekend belongs in a Hollywood movie as South Africa entered the weekend after the death of a number of great citizens; Reggie September, Neslon Rolihlala Mandela and Baby Jake Matlala. 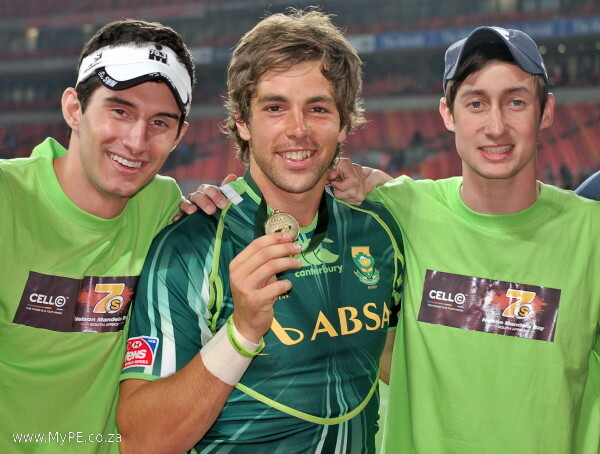 The most fitting outcome took place as the Springboks beat New Zealand in a final that took place in a stadium and metropole named after Nelson Mandela – not a dry eye in the house as fine play and aggresive attack in front of 30 860 ecstatic spectators saw the home team fight back from a 14-0 deficit early in the first half to beat defending champions New Zealand 17-14 in a tense final and clinch round three of the HSBC Sevens World Series. 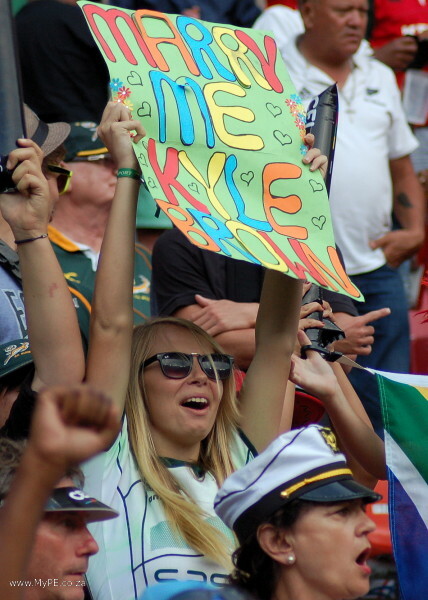 Two late first half tries got the Bok Sevens back in contention and a Kyle Brown try in the second half gave them a lead they would not surrender again. They kept their composure in the last minutes to keep New Zealand at bay and away from the gold medal presentation. 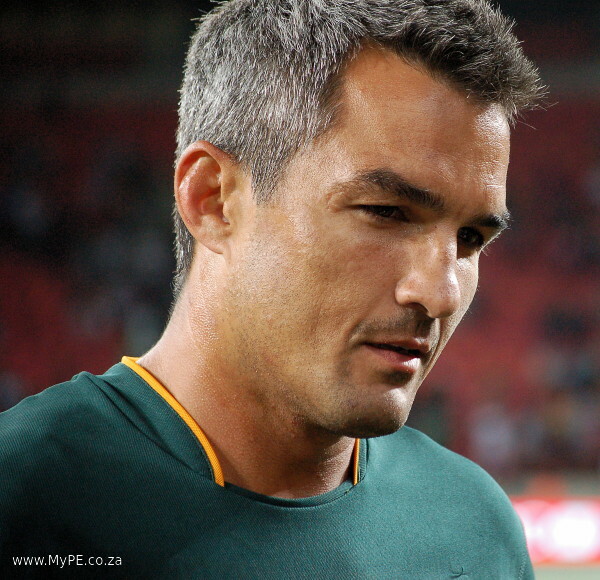 Springbok Sevens coach, Neil Powell, was a very relieved man afterwards. “We needed to be close to New Zealand at the break, so when we scored late in the first half (through Branco du Preez), it meant a lot to the guys. We showed a lot of guts out there and the guys really played for each other. I am a very proud coach at the moment,” said Powell, who won his first title after only three tournaments in charge. 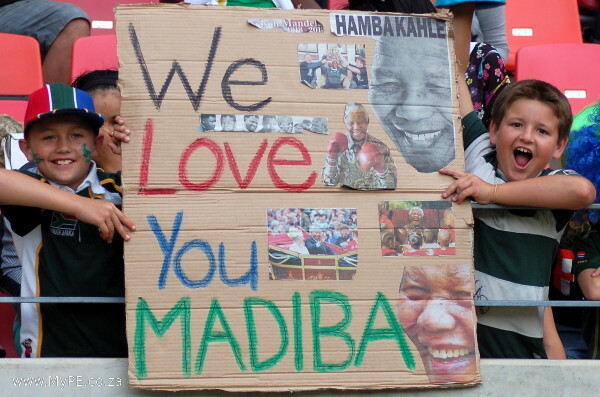 According to Powell, the Madiba magic touched his team and they dedicated this victory to his memory. “It was a very emotional weekend for all South Africans, but we realised that we needed to do it for his memory and for ourselves. We could only do it by playing as a team and playing for each other,” added Powell. 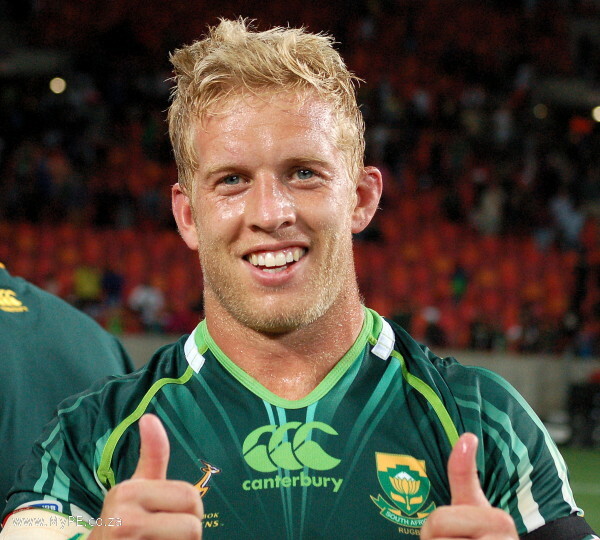 Springbok Sevens captain Kyle Brown, also praised his team mates for their special effort. 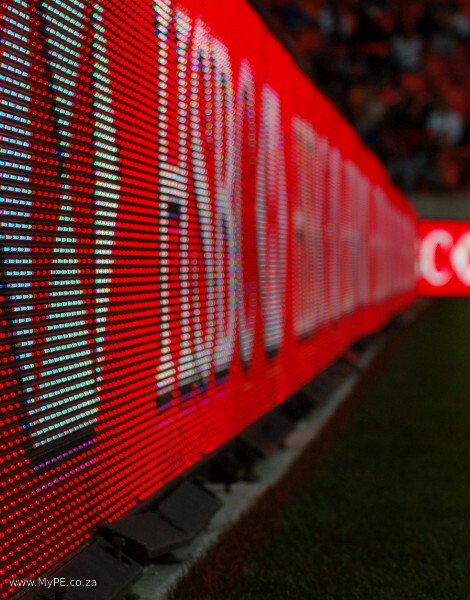 “We were all desperate for a good result and knew that we had to do this as a team. We had to dig deep to come back, but I never doubted the character and will to win,” Brown said. “This is a special win and we cannot thank the crowd enough for their support. It was also important for us to keep improving and following our fourth place at the Gold Coast and second spot in Dubai, a win here justified the hard work the squad has put into training,” according to Brown. New Zealand raced into a 14-0 lead with two converted tries, but a brace by Branco du Preez got his side back into contention. 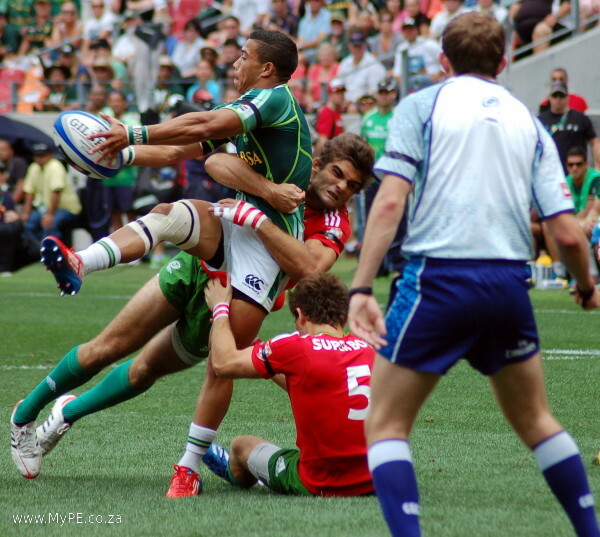 A great piece of individual play by Brown early in the second half saw the South African captain sprint 40 meters for a try that proved to be the match winner. Earlier in the day the team made light work of Portugal and Argentina in the quarterfinal and semifinal respectively. 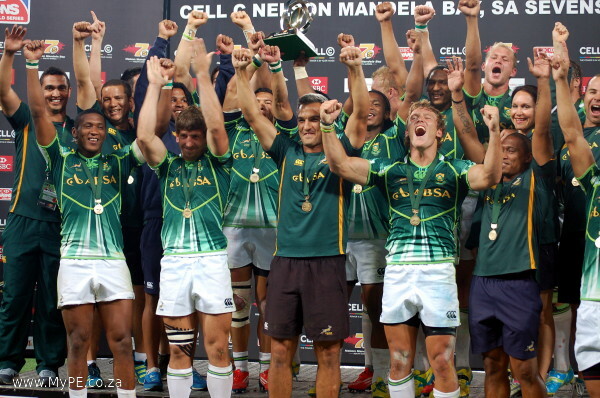 Against Portugal in the quarters, the South Africans won 45-0 and against Argentina they romped home by 31-0. With this win, South Africa also moved up the World Series standings and are now in second place with 56 points, just two behind New Zealand with 58. Fiji (48) drops to third with England remaining in fourth spot (40). 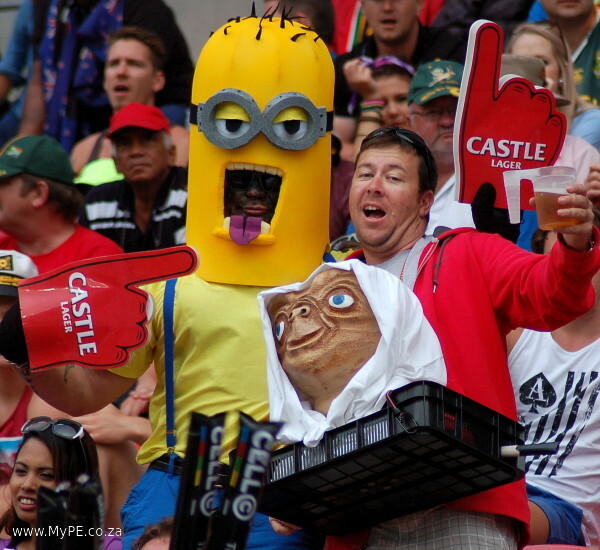 The draw for the next round, the Las Vegas Sevens to be played on 26-28 January, was also made in Port Elizabeth on Sunday. 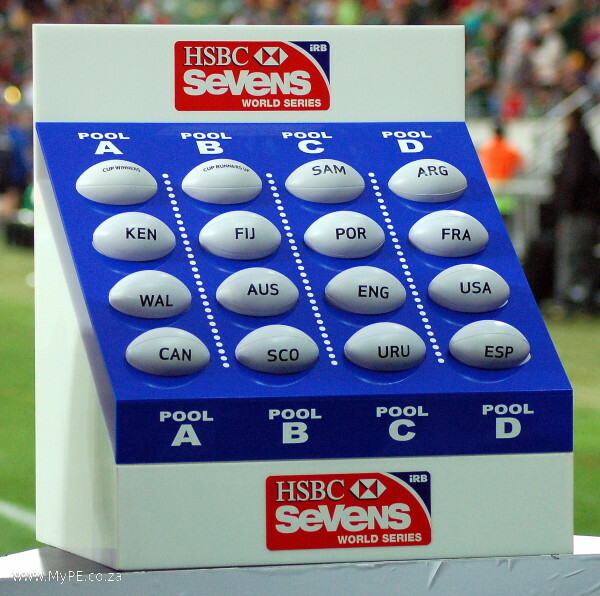 South Africa will travel to the USA as top seeds and will play Kenya, Wales and Canada in pool A. Pass me my beer goggles please! Maybe if you put your contact details on your poster he will contact you my dear?